After years of post-Saddam government, the exclusion of Sunni people from decision making is showing its terrible effects. What the Shi’ite leader Moqtada al-Sadr asked for seems to be finally happening: another Arab Spring. A Sunni Spring, led by Sunni people and managed by military and tribes. Where the winner remains al-Qaeda. On January, the Italian online journal Lettera 43 foresaw it. In a brilliant article, Laura Silvia Battaglia explained how corruption had led Iraqi government down the well known road of post-regime administrations: economical crisis, lack of consensus, dispossession. It happened in Eltsin‘s Russia in 1991, it is happening in Iraq now. Protests have been going on for a year, but nobody seems to have given an answer. Whether Sunni people have been mistreated is hard to tell, but they think so. And they own one of the regions with the highest strategical value in the Middle East. Protests gained military relevance in Fallujah and Ramadi. Fallujah is a city in the central area of Iraq, but Ramadi is the capital city of the largest governorate in Iraq: al-Anbar. Since Anbar’s neighbour is Syria, many theories directly interlinked Syrian conflict and the one in Iraq. Evidently, weapons are passing through the border; but something else is doing so – somebody. Al-Qaeda linked group ISIL now fighting against governmental forces is the same actor fighting against Bashar al-Assad in Syria. This way, Syria has now taken over the role that once belonged to Libya: the one of a failed state to use as weapons deposit. Analysts have seen in clashes the result of conflict between Shi’ite Iran and Sunni Saudi Arabia; that could justify the peculiar attention paid to recent facts by the National Council of Resistance of Iran, the organism leading Iranian resistance. While Iranmanif.org claimed the risk of a genocide in Iraq, NCR accused PM Maliki of Liberty Camp attack (here and here). On the other hand, thinking about these facts as a mere consequence of the Sunni/Shi’a conflict is wrong. Among Maliki’s allies we can recognize the United States. However, they have to take care of their main (Sunni) Middle East friend: Saudi Arabia. A state that cannot be considered a US and Iraq standard ally: it is remarkable that al-Qaeda network has its (financial) roots in Saudi Arabia, even if consensus remains feeble. In the ’90s, Saud’s family generously sent its mujaheddins to Afghanistan to have them trained as qaedist fighters. Consequently, it is far from being a reliable ally. 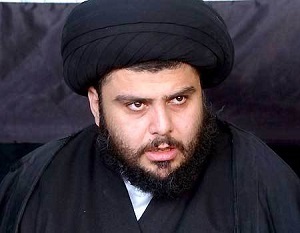 Lastly, there is another important player: Muqtada al-Sadr, the man who claimed the need of an Iraqi Arab Spring. His movement refers to Shi’a Islam, and he must have gained many friends when ISIL fighter Wahib al-Fahdawi executed three Syrian truck drivers, accused of being Alawite (as Assad is). Unfortunately, Alawites are Shi’ites, the majority in Iraqi Muslim community. We have not considered the opinion of Kurds and other groups, in order not to go mental, but they are still important. This powder keg was lit up with Syrian weapons, such as the evergreen AK-47. However, it remains a disastrous political and military failure of Maliki government. We cannot help thinking that the main responsibility for this blunder has to be ascribed to the government. Maliki urged the population to stop supporting qaedists, but this claim sounded like the words spent by the Ottoman authorities during the Albanian rebellion in 1911. They ensured amnesty for those who had stopped fighting, but they had already failed their plan: the population had no more will to listen, and those who asked for an agreement with the government had already been clobbered and consequently silenced. How could authorities even think that they have influence on the population? 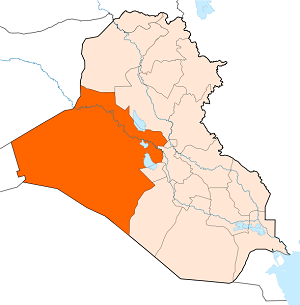 Iraqi government cannot, if we consider that it was not even able to oppose ISIL control over the region without the help of loyalist tribes. Effectively, tribes are still an important military actor, even when compared to al-Qaida network. With a consequent high genocide risk, adding a military failure to the political one. Now, each strategy elaborated in order to get Anbar back will cost a great deal of consensus and sense of belonging. The Iraqi army has already shelled Ramadi with mortars, but the complete recovery of the region would need much more than this. Maliki declared his will not to attack residential areas, but Saudi journal Asharq al-Awsat reported voices from the military establishment about the possibility of air strikes on Fallujah. Military aid has been asked by the government to the United States, but US Secretary of State John Kerry has made it clear: the American administration is not going to plan a military intervention. On the other hand, it supports the strategy developed by the Iraqi Army in order to conquer its own territory. Iran itself explained that they will never provide troops, but only logistical support. If we remember the ridiculous way the US approached Maliki quests – reaffirming “confidence” in Iraqi capability – we understand how delicate the American role is. They need to avoid Iraq collapsing without creating frictions with Iran and Saudi Arabia. On the other hand, they made no secret that they are selling weapons to Iraq. 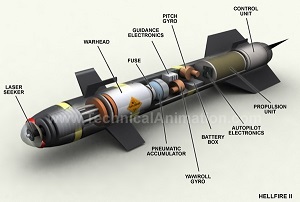 One hundred Air-to-ground Hellfire missiles have been sold: that suggests the intention of using helicopters in order to destroy rebel bases. Something more than the use of surveillance Scan Eagle and Raven drones reported by Al-Arabiya. This would mean, behind diplomatic ceremony, a deeper American involvement, in contrast with the theory of a limited US commitment claimed by Italian journalist Guido Olimpio. On the other hand, Olimpio is right when he underlines how the Iraqi Army let ISIS gain control over the territory, while the US erroneously thought that Iraqi forces had the ability and authority to manage their country. Boeing (producing ScanEagle), Lockheed (producing Hellifire with Boeing) and AeroVinment (producing Raven) would gain a large amount of money in case of conflict. However, the Iraqi people could face a “Vietnam scenario”: the terrible choice between war and the fall of Iraqi government, which would lead to the absolute power of qaedists. The signals of this choice will be in the next moves that Maliki will achieve. What is certain is that he will need to understand and answer the requests of the population. But he will have to deal with tribes and local authorities. The Iraqi road to peace is still long.